In this absorbing documentary, Dieter Dengler, former Navy pilot, re-creates his experience as a POW during the Vietnam War. In my post on October, 2, 2016, I wrote about the nonfiction book “Hero Found” by Bruce Henderson, based on U.S. Navy pilot Dieter Dengler’s daring escape in 1966 from a POW camp during the Vietnam War. I read that before watching “Little Dieter Needs to Fly,” wherein Dengler returns to Southeast Asia more than 25 years later and re-creates part of his harrowing wartime experience. Herzog makes some very odd choices in the award-winning film, though this should not be surprising because the director has never denied that he “stylizes” his documentaries. In one of the early scenes, Dengler is driving his vintage yellow convertible (the top is up for a reason) on a winding mountain road toward his two-story home north of San Francisco. He speaks movingly of his friend, former Air Force Capt. Duane Martin, who died in the jungle after the escape. The German-born Dengler pulls into the driveway, gets out of the car and walks around to the passenger side. He opens and closes the door several times. At his house, standing at the front door, he repeats the action. Inside, doors are a continuing motif in some colorful artwork. Is this some sort of post-traumatic stress disorder manifestation or is Dengler dealing with obsessive-compulsive disorder? As it turns out, neither. The production notes reveal that Dengler had talked to Herzog about how opening a door gave him a sense of freedom because while he was a POW, there was no opportunity to do even that simplest of tasks. The repeated opening of doors was Herzog’s symbolic idea. He’s also pretty heavy-handed with the themes of death and heroism. So, unless Dengler is talking, take the “stylizations” with a grain of salt. Dengler is a dominating presence, words tumbling from his mouth like an Asian monsoon. He describes in fairly graphic detail how he was tortured and the conditions he, Martin and others endured. He is totally unself-conscious in his extensive monologues, and he speaks with a first-time urgency, though he’s told the story many times previous to meeting Herzog. The production notes on the DVD I watched didn’t address any of this, so I began digging on the Internet. I found an Indiewire interview conducted by Doug Stone with Dengler from 1998. Dengler says that Herzog — whom he did not know — called him out of the blue one day and said he wanted to do a film about him. Dengler’s recollections — of his childhood in Germany during World War II, the hard years after the war, how he came to America, became a citizen and finally realized his dream of becoming a pilot, of his A-1 Skyraider being shot down over Laos, the capture and escape — all this has compelling inherent drama. But apparently not enough for Herzog. In addition to filming in Southeast Asia, Herzog uses archival footage of Dengler’s news conference two months into his recuperation, and aerial footage of bombs exploding over the war-torn countryside. It’s unclear which villages these were supposed to be, but likely located in Laos or Vietnam, even possibly Cambodia. Herzog follows Dengler back to his hometown of Wildberg, Germany, and inside his California home, where he pulls up the carpet and cement in the kitchen cupboard to show a fraction of the thousands of pounds of food he has stored there — Dengler’s mind-calming response to almost dying of starvation. Forget the opening doors; the food hoarding is far more concrete evidence of his lingering burdens of war. There is a nice reunion late in the film of Dengler hosting former Air Force Lt. Col. Eugene Deatrick, the pilot instrumental in Dengler’s rescue, for a Thanksgiving meal (with a 30-pound turkey). Deatrick recounts seeing the SOS Dengler had laid out with fabric on top of a rock, and Dengler talks about how he was hallucinating and how close to death he was. Some points I don’t recall from “Hero Found”: Dengler says his captors almost always had a fire source with them. This is dramatized in the film by the captors carrying a small metal bowl-like receptacle, suspended on a long chain, which encased smoking charcoal. He says they also carried fan-shaped brooms with which they could attempt to knock birds and other creatures out of the trees and thus produce a meal. After Dengler’s return to his Navy ship, the USS Ranger, he says he was beset by nightmares so vivid and often violent that his thrashing alarmed his shipmates. The solution was to climb into a plane’s cockpit with several pillows and to sleep there, Dengler having always felt safe while flying. At about 77 minutes, the film zips right along. It’s engrossing, even more so if the viewer isn’t familiar with Dengler’s story. A postscript after the credits includes footage from Dengler’s burial, with full military honors, at Arlington National Cemetery in 2001. I’d strongly recommend reading “Hero Found” first. If not that, then at least read my discussion of it for an overview of Dengler’s life story. Lotus fried rice served in lotus leaves and decorated with lotus flower petals is among the dishes we prepared in a cooking class in Ho Chi Minh City. My friend Susan and I took a fascinating two-week trip to Vietnam and Cambodia in March. This is the 14th post in the series about our experiences. We had so much fun — and scrumptious food — at our cooking class in Chiang Mai, Thailand, in 2011, that we decided we’d also like to try our hand at Vietnamese cuisine. Auspiciously, there were no shortage of options to choose from. After checking out guidebook recommendations and reading many sites online (we briefly considered taking the class while in Hanoi), we decided on Saigon Cooking Class. It met these basic criteria: A hands-on session — not just watching someone else cook; an interesting menu, with ingredients that could be adjusted to satisfy dietary requirements; a market tour before class; classes available on enough days so that we could fit one into our itinerary; a small class size; and not too expensive. The stalls at Ben Thanh market in Ho Chi Minh City are packed with a wide range of foodstuffs and handcrafted souvenirs. A few days earlier, Susan and I had located the market, within easy walking distance from our hotel. Investigating where the locals shop is among my favorite pastimes when I travel. Colorful fruit (fresh and dried) and produce, sometimes of strikingly odd hues and shapes, freshly ground aromatic spices, a variety of meats and seafood and the opportunity to sample food or have a full meal make markets cheap and endlessly interesting attractions. Ben Thanh market displayed all this and more in abundance. Markets are also generally a good source of affordable souvenirs, especially handmade traditional crafts, in addition to packaged foods (be careful on that account with regard to what can be brought back to your country of residence). An assortment of cookies and candies (left) and types of coffee (right) flank mounds of papaya and mango and other dried fruits. Promptly at 8:45 a.m., we were waiting at the Cua Tay entrance. Our guide — who also turned out to be our instructor — arrived first, but three participants were more than 20 minutes late. Once they showed up, chef Mỹ Hoa escorted us up and down the bustling aisles in the covered sections and outside where many of the seafood stalls were. She held up various fruits and vegetables, explaining what they were, and took questions. She also purchased ingredients, such as noodles, that we would use later in class. Huge squid rested side-by-side in round, metal, water-filled tubs; “jumping chickens” (aka frogs) sat on one another’s back, crowded into bags of green netting; crabs were tightly stacked in neat rows in square crates; and plastic containers revealed snails and shrimp and octopus and fish … obviously an impressive selection of edible creatures that walk, swim, crawl or wiggle. Hanging between a large piece of fresh beef and a black plastic bag is the naked tail of a water buffalo. The tail is used in soup recipes. Among the more unusual things we saw: a long, pinkish, graduated tail of a water buffalo, stripped of its fur, and suspended on a hook attached to a horizontal pole; and moundlike, milky white pigs’ breasts, which I never would have been able to identify myself. Not surprisingly, everything but the oink was also for sale. Susan and I were the only Americans in our international class. Others included a couple from Cologne, Germany; a couple originally from Hong Kong but living in Canada; and two women from Australia. Purple aprons sit on stools, and the cooking area is set for our first dish: Fresh spring rolls with prawns, pork, fresh herbs and rice noodles, which had been purchased at Ben Thanh market. When we made fried rice, each station had a wok sitting atop a heat source. Each participant was given a purple apron to wear, and everyone had an individual cooking station equipped with the necessary utensils. Some of the ingredients had been prepped (staff grilled the chicken for the mango salad) and distributed on plates and in small dishes. Chef Mỹ, now in her white uniform complete with toque, demonstrated each dish, and then circulated among us as we cooked our versions. When we finished each dish, we carried it across the room to the rectangular dining table and took photographs of our creations. While we ate, we had a few minutes to chat amiably with the other students and swap travel stories. Class was over at about 1 p.m. Chef My Hoa holds lotus flowers, the petals of which we used in the lotus fried rice recipe. In the jar in front of her are lotus root (top) and lotus seeds. Woks are on either side of her. Below, I’m sharing the lotus fried rice recipe. Its presentation was the most unique of the dishes we made, and illustrates the importance of the lotus flower, Vietnam’s national flower, in the country’s cultural and religious life. Most parts of the flower are edible, including the root, stem and seeds. The seeds are light tan, roughly oval in shape and larger than chickpeas. They are soft and yield easily to the bite. The execution of this recipe is very much like making Chinese fried rice, though the ingredients differ a bit. For sodium, Vietnamese fried rice uses fish sauce instead of soy sauce, which means the white rice stays truer to color, and to my palate, produces a lighter flavor. At home, it was a challenge to find lotus leaves and flowers. Despite calling every major Asian market in my area, I was not successful in my search, and I opted not to scour the Internet. So I just made the rice. A more readily available substitute would be banana leaves. Instead of lotus petals, use any pretty, organically grown flower to decorate. The leaves and flowers are for presentation only, not consumption. I also could not find dried lotus seeds, so bought a 17-ounce can, sold under the Pochy brand, a product of China. They were packed in syrup, and even when drained lent a slight sweetness to the rice. Overall, I’ve adjusted the recipe a bit, streamlining a few steps and increasing some quantities. As with any recipe, tailor it to your tastes. Prep all the ingredients before you start cooking. Like Chinese stir-fried dishes, this comes together quickly. Obviously, you can omit the presentation steps and just make the rice. In a wok or large skillet over medium-high, heat 1 tablespoon vegetable oil. Stir-fry chicken pieces until cooked through and no pink remains. Remove to bowl and set aside. Add remaining 2 tablespoons oil to the wok or skillet. Stir-fry shallots and garlic until fragrant. Add chicken, prawns, peas, lotus seeds, carrot, coriander, chiles and black pepper. Stir-fry 1 minute. Add the fish sauce and stir-fry for another minute. Add the cooked rice and green onions and stir-fry for 4 minutes or until mixture looks dry. Be sure to break up any lumps of rice, if necessary. Be careful not to burn the rice. Turn off heat. In a deep, medium bowl, lay one lotus leaf horizontally and the other vertically on top of it, with the excess of each leaf laying over the rim of the bowl. Transfer the rice mixture into the prepared leaves and pack it tightly. Fold the vertical leaves tightly over the mixture, then repeat with the horizontal leaves. If the leaves are long, trim as necessary. Place a large plate over the top of the bowl. Flip the bowl and plate over so that the plate is on the bottom. Try to keep the leaves in a tight ball. It may be necessary to mold the leaf-and-rice mixture into a more circular shape. With a sharp knife, cut a large “t” shape in the center of the leaves. Carefully pull back each leaf about halfway to expose the rice mixture inside. Space lotus petals around the outside of the leaves to complete the presentation. © 2016 text. All rights reserved. Within hours of the startling news of the surprise attack on the American fleet at Pearl Harbor in Hawaii, on Dec. 7, 1941, the West Coast of the United States had become a dangerous place to be for anyone of Japanese heritage, even if they were American-born. FBI agents and other law enforcement officials suddenly showed up at Japanese American homes, and often removed the senior male members of the family (and sometimes female, too). Where these unsuspecting residents went and when they would return wasn’t shared with the frightened and bewildered people left behind. That due process of law was totally ignored wasn’t an accident. Appalling statements such as “… the Constitution is just a scrap of paper to me,” attributed to Assistant Secretary of War John McCloy, previously a lawyer in civilian life, indicated the mindset of some at the most senior levels of government. Legal rights were secondary, they thought; America was now at war, a direct result of the Empire of Japan’s military action in the Pacific. What soon followed — the forced relocation of a large group of people based solely on their heritage — is one of the darkest and most troubling chapters in American history. In 1941, there were more than 112,000 people of Japanese ancestry living in California, Oregon and Washington State. More than 150,000 lived in Hawaii, a U.S. territory, but their experience generally was different. Some were interned but not evacuated as on the mainland. A large-scale relocation of the better-integrated Japanese American population would have collapsed the Hawaiian economy. Individuals of Japanese ancestry fell into three categories: Issei, immigrants born in Japan but who were ineligible for American citizenship according to the laws at the time; Nisei, the second generation who were born in America (they numbered about 70,000); and Kibei, American-born people of Japanese heritage who went to the Land of the Rising Sun for education, and then came back to the United States. The distinctions meant little to some politicians and newspapers (with radio, the dominant media of the time). Vitriolic editorials and disparaging news stories were frequent. They fueled hysteria and racial hatred, especially around the coastal areas, where Japanese Americans were wrongly accused of being spies or saboteurs, i.e. lying in wait to signal Imperial Japanese forces for additional Pearl Harbor-like attacks. Executive Order 9066 was signed by President Franklin Roosevelt on Feb. 19, 1942, authorizing the designation of military zones in states on the Pacific Coast (and a small part of Arizona), effectively allowing the displacement of the Japanese and Japanese American population, while at the same time claiming to protect them from anti-Japanese sentiment from other Americans. Those affected had little time to prepare. They were restricted to bringing only “what they could carry.” Most were forced to sell their homes, possessions and businesses for a fraction of what they were worth. Especially hard hit were boat-owning fishermen, and farmers, who had cultivated land that others had scorned and made a successful go at growing fruits, vegetables and flowers. There were instances of devoted friends stepping in to keep the operations running and returning profits at the end of the war, but they were few and far between. More commonly, greedy scavengers and unscrupulous secondhand dealers were lurking to capitalize on the evacuees’ misfortune. Facing unfounded rumors of disloyalty, American Japanese nonetheless reported in orderly fashion to city staging sites and were taken away to assembly centers. These included, among many others, Santa Anita Racetrack, in Los Angeles County, where families were forced to live in horse stalls while they waited for their new lodgings to be built in desolate, hard-to-reach places. Most internees tried to normalize their situation as best they could. Housed in drafty, hastily constructed tarpaper barracks, they set about making furniture from whatever scraps they could find, planted gardens, ran businesses, and organized activities for the children, from Scout troops to that most all-American of games, baseball. Kids attended school, went to dances and celebrated graduations. But even the most positive of outlooks could not ignore that the camps were surrounded by barbed wire and overseen by armed guards in towers, whose weapons were pointed inward. Author Richard Reeves quotes at length from published memoirs, and from letters written by students to a San Diego city librarian named Clara Breed. She had befriended countless young readers, who sent her what little money they had earned from jobs around the relocation centers so that she could buy them necessities and sometimes toys. 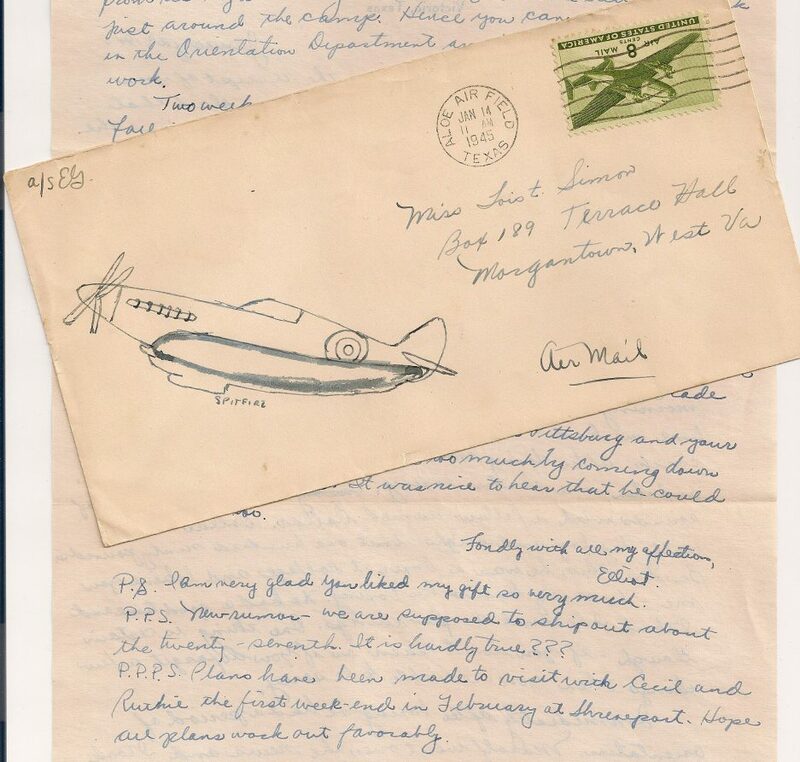 The letters appear in “Dear Miss Breed: True Stories of the Japanese American Incarceration During World War II and a Librarian Who Made a Difference” by Joanne Oppenheimer. Despite their treatment, many loyal Japanese Americans responded to the call to serve. The 442nd Regimental Combat Team, which absorbed the 100th Infantry Battalion — originally a National Guard unit comprised of many Japanese Americans from Hawaii — fought valiantly in the European theater, becoming the most highly decorated unit of WWII. Others were in the Military Intelligence Service — formed in secret before the United States even entered the war — serving as translators and interpreters, often in the Pacific Theater. As the war was winding down in late 1944, American brass was ready to rescind the “military necessity” of the relocation centers. In early 1945, the evacuation order officially ended, with more than 90,000 still in the camps (over the years, some had been allowed to leave to go to college, join the military or take jobs as long as they weren’t on the West Coast). Slowly, they disbursed around the country. Many internees, soured by the whole experience, elected to move to the Midwest and farther east. Some who returned home were confronted by lingering anti-Japanese sentiment and, unable to regain their property, had to start all over again. It took Congress decades to right the wrong of this distasteful episode. In Public Law 100-383, passed in 1988, the internment was acknowledged as an injustice, an apology was issued and each former internee received $20,000. From military officers to politicians, many players in this drama come off badly, though there were, of course, heroes, too. Reeves saves his particular wrath for Lt. Gen. John DeWitt and Col. Karl Bendetsen, calling the former a “fool” and the latter a “pathological liar.” Both Army men of the Western Defense Command were instrumental in developing and implementing the relocation scheme. Those interested in an in-depth examination of what day-to-day life was like in the relocation centers will want to read further elsewhere. “Infamy” is a well-documented examination, extremely relevant 75 years after Pearl Harbor, of the far-reaching consequences of lies, misinformation, racism and xenophobia on American society. The exterior of this entrance to one of the Cu Chi tunnels would have been camouflaged with a trapdoor and foliage over the top, hiding the fact that Viet Cong fighters were underground, waiting to attack American and allied forces during the Vietnam War. My friend Susan and I took a fascinating two-week trip to Vietnam and Cambodia in March. This is the 13th post in the series about our experiences. It’s disconcerting to hear gunshots from AK-47s in what would otherwise seem to be a peaceful setting among the restored eucalyptus trees in a forest illuminated by dappled sunlight. But the background soundtrack from an adjacent shooting range was unmistakeable as we approached the entrance to the Cu Chi tunnels near the village of Ben Dinh, just over 30 miles northwest of Ho Chi Minh City, previously known as Saigon. During the Vietnam War, machine-gun bursts and explosions were likely commonplace here, as the Cu Chi district was a longtime hotbed of Viet Cong activity. In fact, Ben Dinh was the headquarters of the Cu Chi District Party Committee, providing a base for what it called “resistance” to American forces. The element of surprise favored the communists, dug in as they were underground, and possessed with a dogged determination to harass American and allied forces. The tunnels also served as an invisible pathway to transport badly needed supplies, ammunition and food down from the north — the route extended almost to the Cambodia border — in relative safety. The American soldiers (and some Aussies) whose dangerous job it was to enter the underground complex were known as “tunnels rats.” Lightly armed with flashlights, pistols and knives, the “tunnel rats” descended into a zig-zag maze where hand-to-hand combat was likely and their chances of survival seriously compromised. So well-hidden were the tunnels that a portion traversed beneath where the American Army’s 25th Division was encamped. Take a moment to consider how close the enemy was already to Saigon, where big-city life continued mostly unbated, for a good part of the war. In the spring of 1975, the communists’ last triumphal leg into the city really wasn’t much distance to cover. The tunnels, dug out of iron-rich, red laterite clay, are now among the most-visited tourist attractions in southern Vietnam, serving as an example — as the signage and displays underscore — of how guerrilla tenacity eventually prevailed in the face of superior numbers of personnel and firepower. A guide demonstrates how a VC fighter could emerge undetected, inflict whatever damage he could, and then descend quickly back into the narrow tunnel he came from. When the overhead panel is nearly back in place, it blends in with the leaves and dirt on the forest floor. I am not suggesting that our visit in any way paralleled what U.S. soldiers encountered, other than that we were in the same location. But it isn’t a giant leap to imagine what a platoon on patrol was up against when confronted by the enemy, who materialized almost ghostlike from camouflaged holes in the ground. Suddenly, the head and an upper torso of a VC fighter would pop up, fire off several rounds and then disappear, literally, back into the earth. Tourist brochures and guidebooks show photos of visitors undertaking the pop-up experience. On our visit, we declined the opportunity to descend, feet-first, into the ground and close, with arms extended overhead, an earthen- and foliage-loaded wooden panel to blend in with the forest floor. But we did see other tourists doing so. The ground could give way at any time, hiding the nasty possibility of sustaining a ghastly injury or being killed by punji stakes. The trapdoors hid more than underground entrances. In many cases, punji stakes — lengthy bamboo spikes attached to a variety of shapes such as poles or hammered into revolving cylinders — were lurking below innocent-looking terrain. One wrong step and the ground would give way, the spikes inflicting horrendous wounds, if the instruments didn’t kill soldiers outright. These unsophisticated but lethal booby traps are on display, as is an American-made M-41 Walker Bulldog light tank, used by South Vietnamese forces, and captured in 1970. Nowadays, the tank is popular with tourists as a photo op, and as an enduring piece of propaganda for the victors. Also nearby is a grass-covered crater, evidence of the relentless American bombing. The tunnels predate American involvement in Vietnam by several decades. During the French colonial era after World War II, communists had already entered the district in a push to organize rubber plantation workers. The independence-minded Viet Minh excavated the first tunnels, using them as a way to communicate between villages and to elude French forces. After the French defeat in 1954, there was less need for the tunnels — until the buildup of invading forces in the 1960s. The somewhat ingenious construction over a 25-year (or so) period also included trapdoors between sections, so that tear gas and smoke could be contained to one section. Likewise, trapdoors could stem possible flooding during the monsoon season. During the Vietnam War, about 80,000 people lived in the district, though the population now is closer to 350,000, and the area is considered part of greater Ho Chi Minh City. Be prepared for a tight fit if entering the tunnels. Nearly doubled over in an almost crab-like crouch, we inched along only a small section in the dark. One section required sliding down on our bottoms. We re-emerging up a metal stairway (likely a modern addition) farther down the tunnel. We weren’t below ground long enough to be uncomfortable in the stagnant air, or to become claustrophobic, but perhaps those who endured long periods underground during the war had to confront those conditions at some point. Several sections have been re-created — and maybe reimagined — to show how a makeshift hospital operated, where food was cooked and the smoke redirected through distant above-ground vents, where meetings were held, and where fighters worked on ordnance, rested and regrouped for the next battle. The ordnance construction is represented by dummies clad in the black pajamalike clothing that the VC and villagers wore. Carpet-bombing from American B-52s took out the majority of the tunnels in the late 1960s. The communists paid a high price for their underground lairs, losing more than 10,000 fighters of the approximate 16,000 who lived for stretches of time in the tunnels. That number doesn’t include civilian casualties, which have been estimated to be at least 2,000. Nearly every tour company in HCMC does a half-day tour to the tunnels exclusively, or a full day paired with other stops. We booked our half-day through the Cinnamon hotel, where we stayed, for $27 each, including pickup and return to our lodging. An artist uses eggshells and other materials to fashion a scene at a workshop that employs disabled people. The flowing ao dais of these Vietnamese women are comprised of tiny pieces from eggshells. The tour also included the obligatory shopping opportunity en route to the tunnels at a workshop where many of the employees were disabled. One of the more unique crafts used eggshells to illustrate a scene, such as two Vietnamese women dressed in the traditional ao dai, walking away from the viewer. Other crafters were making goods composed of lacquerware, and some were cutting shells to extract the mother of pearl material to be used in inlays. This bronze statue of a hard-working lumberjack debarking a log commemorates the importance of the forestry industry to Rovaniemi, Finland. The statue was erected in 1955. This time of year, sweetly sincere letters from good little girls and boys begin arriving at a destination in northern Finland, meant to be read by a rotund man with a lengthy white beard, a red suit and a jolly laugh. The letters — thousands of them — sometimes written in colorful crayon and with imaginative spellings, plead with the recipient (and his helpful elves) for dolls in frilly dresses, rough-and-tough trucks … or the latest electronic equipment. I visited Rovaniemi in May 2013 as part of a two-week independent tour of Finland. Full disclosure: I did not make my way to Santa Claus’s abode, but rather pursued more historical interests. Finland is one of those destinations where you want to organize your trip with an eye on the weather. If you like extreme cold, ample snow and little daylight, this is the time of year to visit. If you prefer warmer temperatures — it rarely gets really hot — and the prospect of experiencing the midnight sun, then plan for late spring and summer. This is not Rudolph. I met this reindeer at a farm run by a Sami family in Inari, more than 200 miles north of Rovaniemi. It was extremely tame and allowed visitors to pet it. In Inari and Rovaniemi, tourists can go on a reindeer safari during most months of the year. Santa Claus Village, about four miles north of town, is open year-round, but a winter visit when snow covers the ground is probably more atmospheric. Santa has office hours daily, except for a few holidays, including those special ones in December. At the post office, you can see some of the millions of letters that have been sent to Santa from 194 countries. The elves have a more limited schedule, so check before you go if you want to see the worker bees. You can also buy paperwork here that certifies that you have crossed the Arctic Circle. At the Arktikum museum, visitors can learn about Sami culture and how the Arctic is being affected by environmental changes. The museum opened in December 1992. On a more adult level, visitors can learn some basics about Sámi culture at the excellent Arktikum museum, about a 15-minute walk from the city center. Nearly an entire wing is devoted to Lapland and its inhabitants, though the exhibit isn’t as extensive as at the Siida museum in Inari, in far northern Finland, about 800 miles from Helsinki. In a small gallery, you can listen to five different Sámi yoiks (individualized storytelling chants) from the very traditional to the modern. Another wing concentrates on Arctic nature, with considerable attention paid to man’s harmful effect on the environment. Next door is the Science Centre Pilke, featuring a heavy emphasis on sustainable forestry. The Korundi House of Culture, about a 10-minute walk away, is home to an art museum with works of a decidedly modern slant. Cloud cover provides enough contrast so that the lights of the “candles” on Lumberjack’s Candle Bridge stand out against the afternoon sky. Traffic began using the bridge in 1989. Close to the Arktikum is the distinctive Lumberjack’s Candle Bridge, completed in 1989, which spans the Kemijoki River. Its two lighted towers are meant to resemble candles. The steel-cable-stayed bridge and the lumberjack statue in Jatkanpuisto Park at the western end of the bridge pay tribute to the forestry industry’s importance to the region. The kitchen in one of the buildings at the Forestry Museum of Lapland is orderly and functional, but few would call it cozy. This monument, on the property behind the Church of Rovaniemi, is dedicated to those who died and were buried in Sweden during the evacuation in World War II. In 1944, Rovaniemi was 90 percent destroyed by the retreating German army. Among the World War II casualties was the Church of Rovaniemi. With financial aid from congregations in Sweden and the United States, the evangelical Lutheran church was rebuilt by 1950. The cross-topped steeple is more than 160 feet tall and the sanctuary can accommodate about 1,000 worshippers. In the cemetery behind the church are two monuments. One commemorates war heroes and the other, at the far end, remembers the 20,000 Rovaniemi civilians evacuated to neutral Sweden in 1944. Reindeer antlers make up a chandelier and reindeer leather drapes some of the booths at Restaurant Nili in Rovaniemi. My entree of butter-sautéed reindeer scaloppine arrived mounded atop a half-inch-thick circle of buttered mashed potatoes, accompanied by dill pickle spears and a juicy dollop of deep red lingonberries. The reindeer meat was melt-in-your-mouth tender, and the meal filling and heavy. Outfitters are ready to take you on a variety of experiences such as skiing (downhill and cross-country), snowmobiling, snowshoe hiking, reindeer or husky safaris, ice fishing, and ice and snow karting. In summer, you can play golf, go canoeing or kayaking, spend an evening moose-watching, go on an overnight brown bear-watching expedition or travel to Pyha-Luosto National Park and an amethyst mine, in addition to other options. But be warned, many of these excursions cost in excess of $100 per person. An Italian woman I met at my hotel went moose watching, an excursion that didn’t depart until 9 p.m. She was back at the hotel around 2 a.m. — without having seen any moose. The outfitter took her out again the next night at no charge, and this time they did see Bullwinkle’s relatives. If I had done my trip during the winter, I might have made my way to Kakslauttanen Arctic Resort, about 24 miles south of Ivalo (the nearest airport; closer to Inari than to Rovaniemi, which are about 230 miles apart). In addition to 40 log cabins, it has chilly snow igloos that can accommodate up to five people (sleeping bags are provided), and glass igloos (they look like turtles nestled in the snow) for one or two people. The added attraction of the heated glass igloos is that guests can lie in bed and watch the mystical aurora borealis (northern lights) undulating across the sky.